This was a good little read, which has the advantage of being very concise and direct. It was written to Emperor Charles V on the eve of the Diet of Speyer (1544). This tract was written as an apologia for the Reformation. What was going on in the sixteenth century that made reformation necessary? I think Calvin lays out a case that it was quite necessary, and that the only course of action open to the Christian who loved the church of Jesus Christ was to support the Reformation. What will be most surprising about this work is how heavily some issues factor into Calvin’s reasoning. You might expect him to focus on sola scriptura or sola fide. These issues simply do not get much attention. Instead, Calvin focuses on the abuses in worship, prayer, and the Sacraments. This, I think, should be quite instructive for us. Too often, we place a great stress on theological purity, but scarcely think about purity in the corporate action of the church. We should have done the one without leaving the other undone. Let us serve our Lord by pressing forward toward excellence in all areas of life. This is my first contact with Alexander Schmemann. I am quite sure that I’ll make some time to explore him further, for I found this little book to be both gloriously illuminating and but also a bit scary. As to the illumination, Schmemann proposes a view of the world that is enormously compelling. He sees the world “sacramentally.” I think what he means by that is that the world is God’s creation and is both to manifest his presence and also to be fellowship with us. Sin, of course, destroys the whole sacramental aspect of creation and now leads only to death. The church, however, is the sacrament to the world. It is through the church that God manifests his presence to humanity and has fellowship with creation, thus fulfilling creation. This sacramental church function is wonderfully Christ-centered and is expressed and lived in the Sacraments (do note the capital S) of the church. I found all this to be wonderful and refreshing, especially because I saw significant aspects of Postmillennialism and Van Tillian apologetics woven throughout. Not to mention that Schmemann (with his insightful attack on Secularism) would be death on RADICAL two-kingdoms theology. All this is splendid. But not all is splendid, for the book is also scary. Schmemann did not intend this book as an apologetic for his Eastern Orthodox views of the Sacraments (all seven of them). Rather, it is more a description or an elaboration. Schmemann did not set out to “prove” anything, but rather to set forward or present his ideas. Well, ideas are dangerous things. Just because an idea (or a collection of them) is compelling does not make it correct or true. Holding, as I do, the Bible to be the final word on truth and “leitourgia,” I want to be very careful to weigh Schmemann (and everyone else for that matter) in the balance of God’s very Word. Where Schmemann has captured and articulated God’s truth, let him be our teacher. Where he has not, let God be true and every man a liar. Finally, as I read this book, I saw Peter Leithart on about every page. Many of Pastor Leithart’s criticisms in The Baptized Body, for example, are quite clearly traceable to Schmemann’s influence (or at least so it seems to me). I mention that only in passing, not to paint Schmemann with a Leithart brush. I am quite sure that the discerning reading will benefit from Schmemann, even in he is opposed to Leithart’s thinking. However, it seems to me that if one wants to understand Leithart better, Schmemann would be a good place to start. Too often (mostly all the time) we gauge God’s power by our own impotence. If God can conquer one sinner, he can conquer every one of them. If God can take one soldier from the kingdom of darkness and transfer him into the Kingdom of his own dear Son, he can take ALL that’s Satan’s and give it to his Son. If you’re reading this post, chances are very high that God has done exactly this for you. If he’s done this for you, why not your recalcitrant neighbor who hates Christ? Why not your whole neighborhood? How about your whole town or county? Too much to think? Really?! Anselm’s famous book was on one hand exactly what I thought it’d be, and on the other hand refreshingly different from what I expected. Cur Deus Homo is often referenced in discussions of why the incarnation of the Son of God factored into the atonement which he purchased. It is quite common (praise the Lord) for people to speak of the Savior needing to be man because only a human could pay for human sin and also needing to be God, as only God could do the job of reconciling sinful men to an infinitely holy God. I totally expected to find this explained in Anselm’s book, and I was not disappointed. I was also refreshed by a few things that I did not expect. The first thing that I didn’t expect was Anselm’s lucid style. This book is set as a dialog ‘twixt Anselm and Boso, a curious and educated inquirer. I think the style of the dialog is excellent and should be used more often. 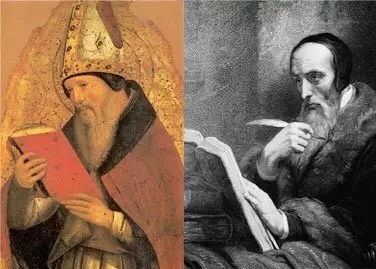 What’s more, I’ve heard Anselm referred to as the Augustine of the Middle Ages. With his clear writing style and the way in which he handles ideas, I can understand why Anselm enjoys that high distinction. Augustine, too, was a fabulous and lucid writer. I find that usually the great ones are far easier to understand than their handlers. Finally, the way in which Anselm conceives of the redemption purchased by the God-man is at once very similar, but also quite foreign to the contemporary discussion of the matter. I don’t want to go into detail here in this short review, but suffice it to say that there is great benefit in reading ancient writers. If nothing else, they can help us to see how our thinking is both modern and all-too-provincial. One weakness of Anselm’s approach, it seems to me, is that he’s self-consciously and explicitly attempting to give a rational accounting of how the incarnation factors into the atonement. Thus, while he does occasionally refer to Scripture, and even call it the only rock on which we’re to build a sturdy house, reason is his guiding light in this book. In Cur Deus Homo he’s trying to show how the biblical doctrine and the church teaching regarding atonement through the God-man is rational. To that degree, I guess I have no beef. I would just like to see him root his work more deeply in the Scripture, which is, after all, the sword of the Spirit. His reliance upon reason, however, is part of what’s earned him another one of his titles (valid or not): the father of scholasticism.